For field staff and back-office control room. Sent to the cloud in real-time. GPS and Geo-fence with virtual checkpoints. 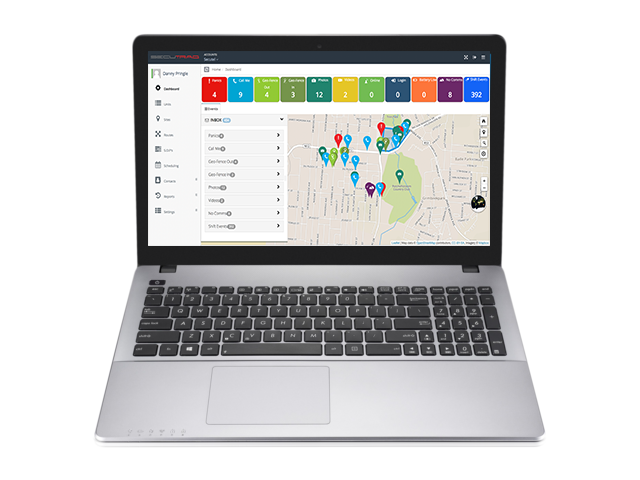 View the location of a single guard or all guards on duty in real time – a great feature for close monitoring of individuals and , or manage thousands of guards in real time with our powerful GPS tracking platform. Create unlimited circular or polygonal geofences, or geofences that follow a route. Maintain efficiency with advanced routing and guard tour planning features. With our easy-to-use reporting engine, you can create your own reports. You’ll see everything you need at a glance, providing the business intelligence needed to take action. 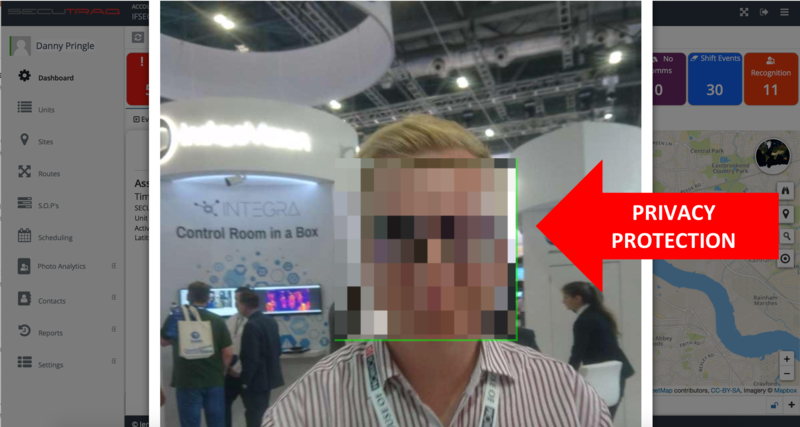 Photos taken by the ALL-IN-ONE BodyCam or Mobile Phone with the Secutraq App can optionally be presented to the facial recognition service on the Secutraq Cloud Platform. Photos are checked against the database of persons of interest as uploaded by the monitoring company. 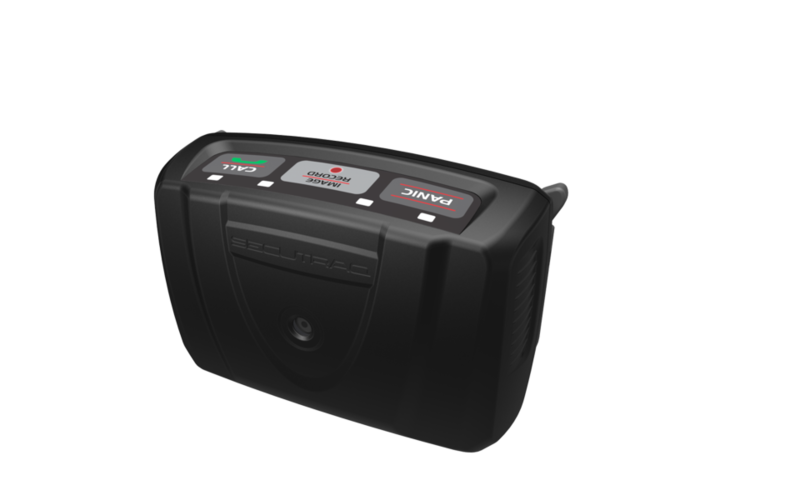 With the built-in Privacy Protection feature, Secutraq protects the privacy of individuals in line with international privacy regulations. 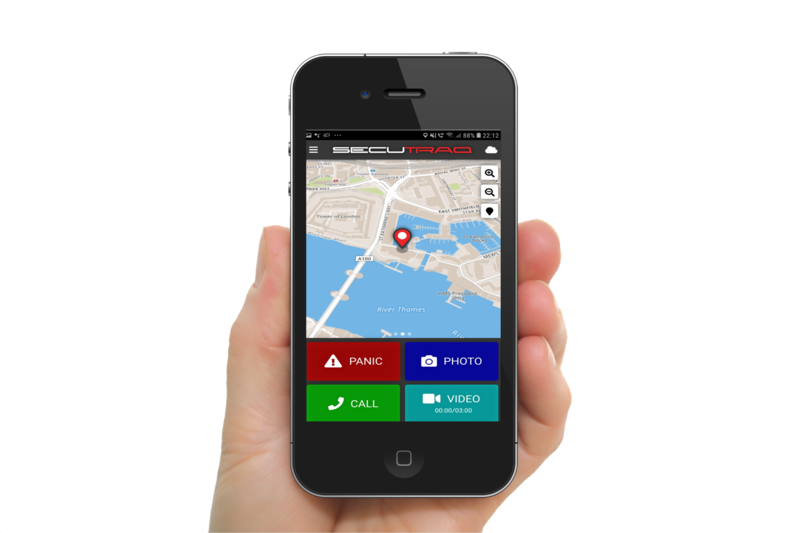 Bring the power of the Secutraq Platform to guards using Mobile Smart Phones. Use the GPS of the phone for geo locating in real-time. The battery level of the phone is monitored from the control room. Voice communication using GSM SIM in the Phone. Single-press Buttons for Panic, Photo/Video and Call Me.